Oakfield House is a magnificent Scottish Victorian Country House, situated in its own large private grounds in a secluded part of upper Tobermory with spectacular uninterrupted views across Tobermory Bay and the Sound of Mull. Oakfield House is a magnificent example of a classic Scottish Victorian country house which has been in the ownership of the same family for three generations. The house which has been recently renovated to an extremely high standard, still retains all of its original features as well as a tasteful mix of antique and modern furniture/decor to ensure a comfortable and relaxing stay for our guests.. The house, which is available for full weeks or short breaks, comprises two large comfortable sitting rooms both with wood burning stoves and a large dining room with seating for up to 14 around the rooms centrepiece mahogany dining table. All these rooms have spectacular views over Tobermory Bay and the Sound of Mull. Guests have a choice of five large double bedrooms, four with ensuite facilities and featuring a mixture of modern super king or king size beds. Two of the rooms also have the facility to be changed to twin beds if required. Large fully fitted and well equipped bespoke kitchen with Everhot range cooker, utility room with washing and drying facilities, full central heating, Superfast Broadband with free Wifi throughout and private parking. Situated on the ground floor with easterly aspect and sea views. Ensuite bathroom featuring a walk in shower. Super King size bed. Option to convert to two full size single beds. 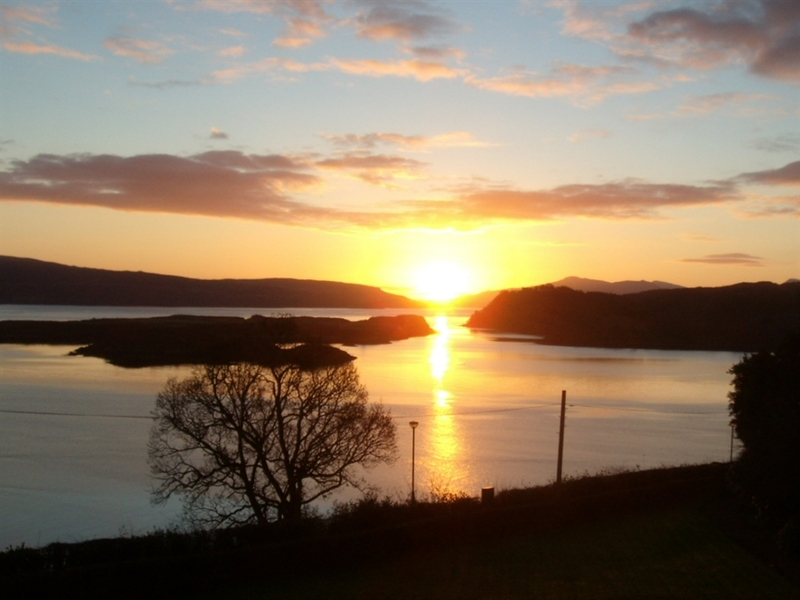 Situated on the first floor with spectacular views down the Sound of Mull. King size bed. Private bathroom with shower/bath on same floor. Situated on the first floor with spectacular views down the Sound of Mull. Ensuite bathroom featuring walk in shower. Situated on the first floor with westerly aspect and views over the garden. Ensuite bathroom featuring walk in shower. 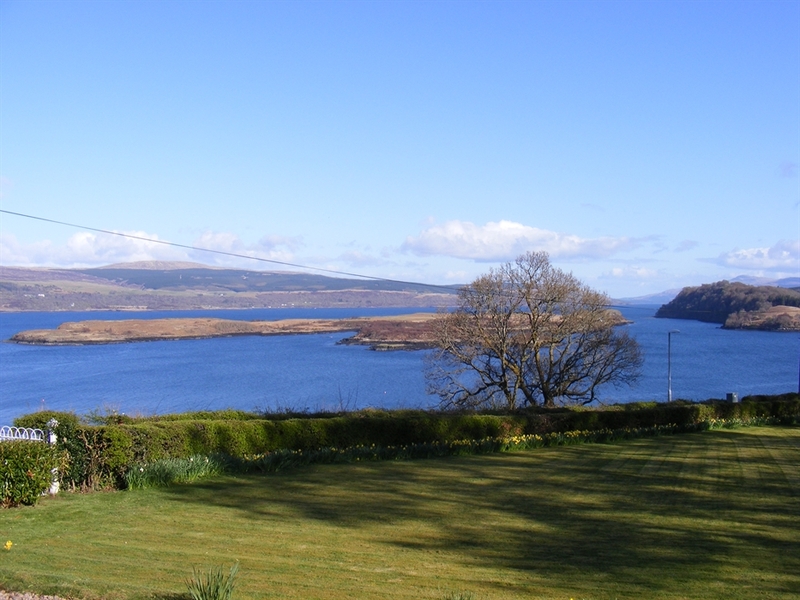 Situated on the first floor with Easterly aspect and spectacular views of the Sound of Mull. Ensuite bathroom featuring walk in shower.